Jason “Ace” Bishop wasn't born a Texan but he arrived just as quick as he could. A tried and true Texan, after successfully completing a demanding course of study at John Brown University, his passion for the Lone Star state and its inhabitants found him returning home raring to go. Jason's goals in life regarding placing God and family first followed closely by keeping client's needs at the forefront of all of he does with great success and enthusiasm. A genuine family man at heart, he joined compelling forces with his brother Carl Bishop in implementing an innovative real estate brokerage called AE Realty. Integrating their combined years of experience and higher education, they have formulated a results-oriented outcome to satisfy the lifestyle essentials of the most discerning clientele. Jason continually travels the world; from the unspoiled villages of New England, through the various resorts and pearls of the East Coast, trying his hand at a few rounds of Vegas Hold 'Em, including excursions throughout our great state of Texas and the Gulf, not to mention carousing the VIP areas of Gaudí's Barcelona, the historical significance of Berlin, to sipping Pisco Sour cocktails overlooking stunning views of Lima's Miraflores and beyond. As a direct result of Jason bringing this worldly experience back to Texas each time, “the Ace” is able to cultivate his unique balance of worldwide scope with a personalized touch, bringing a highly competitive edge to the local market. As very few real estate companies with a worldwide presence can make such a claim, Jason is similarly committed to defining his personal approach to one grounded on a foundation of the four tenants of trust, integrity, discretion, and excellence. Jason now flexes his naturally innate skills in goal setting and creating workable plans, along with daily strategizing and carrying out winning objectives, to the efficient and successful championing desired end outcomes for his valued clients. He sets his goals and resolutions higher and higher each year and continually works diligently to improve himself in every single way imaginable. 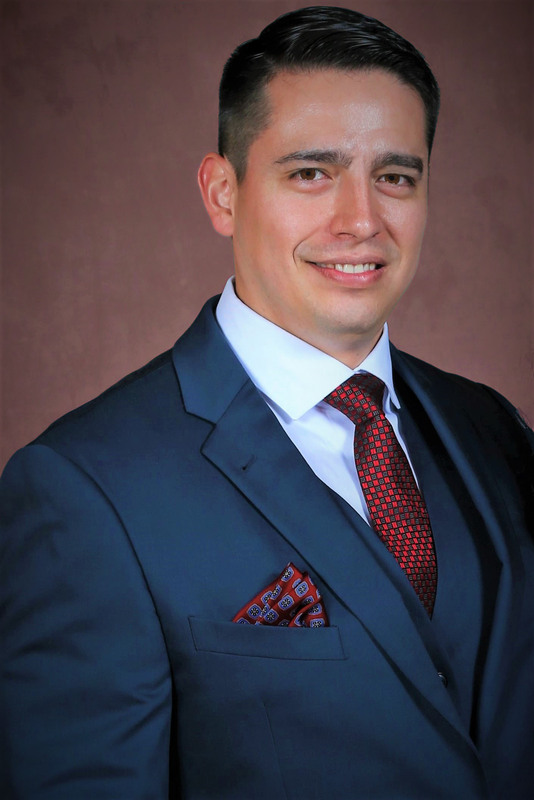 With childhood roots in San Antonio along with the warm, hearty southern hospitality of his father's side and the Peruvian commitment por la familia of his mother's side, Jason successfully combines the best aspects of many worlds of the American dream to earn him the reputation of being a top agent specializing in residential and commercial properties throughout south Texas. 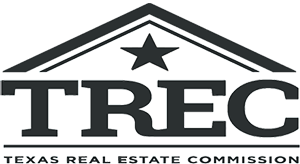 Although many realtors make unrealistic promises to their clients, Jason has a proven track record in San Antonio of selling real estate for the highest prices within the shortest reasonable amount of time and, as his prior clients will attest, he delivers this with the least inconvenience and highest degree of anonymity to sellers and their family. With this same altruistic heart for others, Jason realizes that real estate transactions involve making some of the most important decisions one will ever make – and promises that, with him in your corner, you will have every possible advantage for the most successful and timely outcome. It was a stroke of luck that we found Jason. My wife and I used this site to browse through houses in the area that we wanted to live in, and after we found a couple of homes, we filled out the generic form on Zillow and sent it to all the Realtors in the network. Jason was the first to respond. My wife had previously worked with realtors before, however, this was my first experience. To make a long story short, Jason was extremely knowledgeable and extremely available throughout the entire home buying process. He had no problem working with our crazy schedules (we both work nights), and I could always count on him answering my phone calls or sending a text if he was in a meeting. I was immediately impressed with how Jason sells a home. I have often heard how some realtors place undue pressure on their potential clients to buy a home that is at the top of their budget or beyond; this was not the case with Jason. We had done all of our research and looked over all of our income to determine our budget for a new house and Jason respected our wishes by only showing us properties that were within our price range. The house we first made an offer on was not the house we ended up buying. I can tell that Jason is a man of high moral integrity and professionalism as he helped us through the process of reclaiming our earnest money. He fully supported my decision to back out after finding some sub-par electrical work. When I came to him with my concerns he was more than willing to discuss all the options and help us either get past our first time home buyer’s jitters or move on to a different property, the latter of which was necessary in our case. We soon found a property that we liked and with his help and masterful knowledge of the surrounding area and pricing structure, we were able to make an offer and purchase the house at well below asking price. I would without hesitation recommend Jason to any of my friends and family who are in the market for a new home. He is a true professional and expert in his field. Jason did an amazing job helping me find a home. He was extremely responsive and flexible with my needs to see homes at any given time of the week. He was very approachable which was a huge plus for me, being a first time home buyer, with lots of questions and uncertainties and my constantly changing preferences. He did a wonderful job making me feel comfortable in my decision making and even helped deter me from buying homes that he felt wouldn’t be a good use of my money. He made it a priority to stay within my budget and kept me grounded when I started venturing outside my affordability limits ?? I would absolutely recommend Jason to anyone looking to purchase a home. His honesty and dedication to finding you the right home can’t be beat! Jason was a fantastic realtor to work with. We contacted him to help us find our first family home in a city we weren’t overly familiar with. My husband is active duty military, and while stationed on a different coast, Jason helped make the home search and buying process as easy as he could. He went above and beyond to help us. Jason did everything from video chat home tours, as well as email and phone calls. And while buying a home can be a stressful time for many, he was aggressive with the sellers and truly worked in the best interest of our family. We highly recommend him to others, and if or when we decide to move, we will work with him again. Jason went above and beyond to help us find our home. We appreciated his prompt response to our questions and how he was always accessible by phone, text, and email. We looked at several homes before we found the right one, and Jason was always kind, patient and understanding during the process. Jason even went out of his way after the sale was completed to check on us and encouraged us to call him if we had any issues or questions letting us know he has partnered with us for the “long haul”. We highly recommend Jason to anyone looking for a Professional Realtor. As first time home buyers, we had no clue what we were up against in the real estate market in San Antonio. For a little over a year, Jason showed us properties all over the city from condos to single-family homes. He was always very patient. When we decided on a house to buy (a “flipped” property), Jason was efficient and got us the documents that we needed in a timely manner. Our only negative experience had to do with the seller and probably relates to the fact that we were buying a flipped home and they were already in the process of working on another one when we were in closing. The seller gave us push back at every turn and Jason kept his cool through the process when we were not able to. All in all, Jason will go to bat for you. Jason is an awesome guy – very professional in handling business. When it came down to trying to purchase my home he was always upfront and honest about everything and always provided very detailed information. I plan on doing business with Jason again in the near future and I will highly recommend his realtor services. It was a pleasure working with Jason not only in our home search but also in the sale of our home. Jason provided accurate, timely and realistic help, advice and information when it came to the sale of our home. It was clear that Jason kept our interests at the forefront and was a great communicator throughout the entire process. He is very professional and I would highly recommend Jason if you are searching for or selling your home. I recently sold my, well someone else’s house now, with RE/MAX 360 with Jason Bishop as my realtor. He was always quick to respond to any questions and had no trouble explaining things until I understood them. He gave me all of the time necessary that I needed to feel comfortable with the whole process. The connections he had with general contractors also made any renovations easier and he uses people that are very fairly priced with great work. If I ever need any services for house buying, selling, or even renting I will not hesitate to use his services again. Thank you, Jason, for making a difficult process as painless as you could with great attention to detail and a thorough process. It was a pleasure working with you.